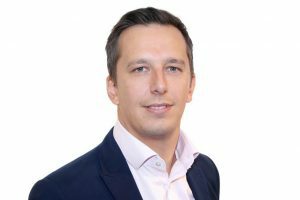 Ryan Scott has been promoted to managing director at Leeds-based twentysix as part of an agency restructure. Scott's promotion comes as the agency unites its search and agency divisions into one centralised function. He originally joined twentysix in 2008 as its search department's only employee and helped to grow it to over 60-strong, extending its services to PPC, affiliates, display and PR. The new centralised function will be responsible for client strategy and relationship management across the agency's full range of in-house services. As part of the changes, Harriet Hughes Payne has been promoted to managing partner, Client Services, and now runs the full 22-strong client services division. Gail Dudleston, who launched the agency back in 2005, remains as global CEO of the agency, which has a total headcount of 150 and a projected 2017 turnover of £15m. It works with brands including P&G, Antalis, Small Luxury Hotels, Maybourne Hotel Group, Ministry of Defence (MOD) and Talk Talk. Scott said: "The digital world is ever more complex, and clients’ needs are changing with increased expectation that their agency can deliver an integrated approach to meet their digital, business and commercial needs.